Fugro’s global ocean mapping efforts have earned the company a formal commendation from the U.S. National Oceanic and Atmospheric Administration (NOAA). 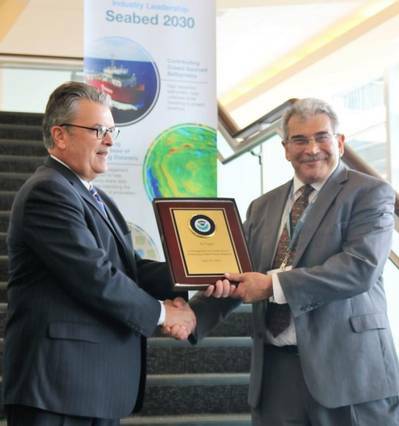 The recognition came during a recent industry briefing with Fugro and NOAA about The Nippon Foundation-GEBCO Seabed 2030 Project, a global initiative to map the world’s oceans by the year 2030. Given that more than 80 percent of the world’s oceans remains unexplored and unmapped, NOAA’s Assistant Administrator for Oceanic and Atmospheric Research, Craig McLean, underscored the importance of the role of the commercial sector in meeting the project’s ambitious timeline and highlighted Fugro’s involvement to that end. Over the past year, the company has contributed more than 65,000 square kilometers of high-resolution crowd sourced bathymetry data to NOAA in support of the project. 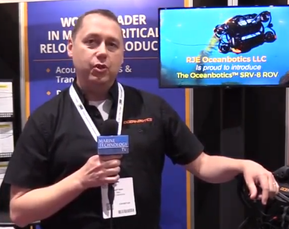 Fugro is collecting the seabed data while transiting between offshore survey projects. Fugro’s contributions to the Nippon Foundation-GEBCO Seabed 2030 project will be used to inform global policy, improve sustainable use and advance scientific research. Additionally, crowd sourced bathymetry data acquired by Fugro in the North Atlantic Ocean is feeding into a regional initiative known as the Galway Statement on Atlantic Ocean Cooperation. Signed in 2013 between the U.S., Canada and the European Union, the statement provides a means for understanding the shared waters of the North Atlantic for scientific, environmental and economic benefits. The Galway Statement specifically references seabed mapping as an activity where cooperation will result in multilateral and mutual benefits.